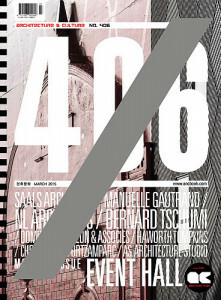 This is the architecture specialized magazine. By introducing outstanding new buildings and idea projects based on new concepts, the magazine inspires professionals to create fresh ideas. This provides readers by introducing different opinions of experts, Urban research results, and practices.